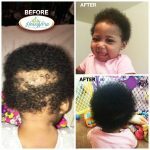 Hey just to say we’ve been using your VeraGrow Scalp Tonic Treatment and the castor-Coconut Hair Oil for about 30 days now and the results are evident!! You have great products and I hope to see it in U.S. stores soon!! You’re a gift from God. 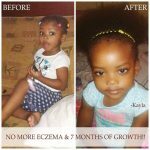 My daughter had eczema and it was tearing out her hair I tried everything medicated: shampoo, oils, creams, castor oil, lavender oil you name it. 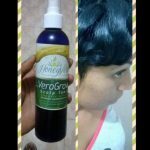 But when I started using the HoneyVera VeraGrow Scalp Tonic and Castor-Coconut Hair Oil the eczema issues went away. 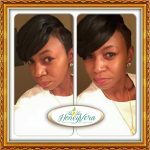 I’ve started the HoneyVera Journey. 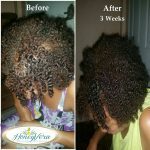 I like the results so far…my hair feels silky soft and strong, no breakage. My hair is fuller and has no breakage. 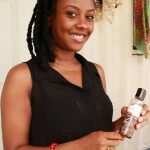 The VeraGrow Scalp Tonic and Castor-Coconut Oil are great!